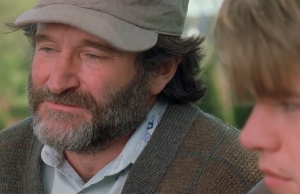 Robin Williams: A lesson in life, not depression. A few pertinent words from my editor. With love. A Weekend Of Daleks And Angels. I’m a bit of a secret (okay, not so secret) nerd. Or is that meant to be geek? I can never remember, although I have been told the difference enough times. I think I am maybe both. Anyway–I went to Cardiff last Friday, because in those Welsh mountains, nestled amongst the castles and sheep, is the Doctor Who Experience. Doctor Who scared me as a small child. Cybermen gave me nightmares and I think, but can’t be sure, it was banned in my house because I really suffered from some doozies. That’s neither here nor there, though. When the good Doctor came back to our screens, I watched. I sat in my living room and watched every episode on Virgin’s Catch-Up service. Ecclestone? Yup – loved him. Tennant? Oh, yes please. Matt Smith? Took a bit of getting used to, but, yep – loved him too. Capaldi? I adore the man. My daughter loves The Doctor too. With a passion. So, it happened that for her 16th birthday, we could be found posing alongside Cybermen and crouching to pat K-9. My daughter ‘drove’ the TARDIS (and crash landed it); stole a crystal from a Dalek (and woke it up); wandered through a forest of Weeping Angels and, at the end of the day, saved the world. It was great fun, well done and had just the right amount of terror/peril. The backpacker Hostel we stayed in was pleasant. If you’re on a shoestring budget and want to be in the centre of Cardiff, then I recommend the Nomad…just don’t expect frills–there ain’t none. All in all, I would go again. Maybe just for one night, though. The prices are inflated, the tourism expensive and the streets haven’t been cleaned since the paving was laid down in Cardiff Central. Seriously, it’s black and has more chewing gum attached to it than Wrigley’s has produced this century. If you’re thinking of a visit, do yourself a favour and go to Cardiff Bay. Get the bus from there to the centre for the castle (if you want to pay £22 to walk up some steep steps, of course), and to go to the huge mall the city centre boasts. Be prepared to spend a serious amount of cash–it’s super expensive. It’s worth a visit. Just go prepared to be a bit, well, bored. There’s not much to do. The lady at Tourist Information was bored of me by 12 noon on the Saturday (I got there Friday teatime) after already telling me five ‘all day’ excursions. They took an hour, with my 65 year old disabled mother tootling along with her walking stick. Also, as a side note, saying a place is a tourist attraction because The Doctor ran past it, once, isn’t really true. It’s a rather dull shop front, really. They sell more overpriced touristy-gumpf. Save yourself the trip. Drive down, spend an afternoon at the Bay (hopefully they will have turned the water tower back on – it was off while I was there), then if you fancy a drink in the evening, stay in a Travelodge before heading home the next day. See some Daleks and pose with an angel, then drive back, pleased you’ve been and pleased to be in the best place in the world. You may have noticed that there is a ‘new’ book on my Author Page. An all new book, with the same title as the old one. What’s that all about, then? It’s been an eventful few weeks since Christmas. To say the least. You see, my first novel, Into The Woods, was in dire need of editing. I knew this, of course, but only in a vague sort of way. I was brand new to the authoring game and greener than the grass in the next field. I’d written the book, had fun writing it and, so I did not chicken out of publishing it again, I literally typed the final sentence and uploaded it to Kindle. It was both brave and stupid, in hindsight. Ah, hindsight, you beautiful beast, you. So it’s edited, with the assistance of an amazing man, Sam Flaco. Of course, this means that The Call of The Dark will also have a complete do-over, but now, oddly, I am looking forward to the process. It’s fun. It was a leap into the unknown, when I hit that PUBLISH button. Luckily for me, most people I have encountered have been nothing short of lovely. I don’t mean a little bit nice, either. I mean welcoming me into the fold with open arms, guiding me in the right direction, helping me when I got stuck. All that and more. I was able to get invaluable feedback. Most people, knowing it was a first book, were constructive. Some were not. The ones who weren’t, well…it took a few weeks to realise that not everyone in the world is nice; that some people just enjoy hurting other people. No, I don’t mean they gave a bad review. Bad reviews come with the job, so they were expected. I mean the people who thought they were clever in directly contacting me to pull my work apart. The ones who have not grown past senior school (maybe they are still there) and think being mean is fun. Anyway, this brings me to the importance of editing. A lot of the mistakes I made were avoidable. They would never have been printed, had I taken the time to ‘sit’ on the manuscript for a few weeks, read through it, be critical and, crucially, check the bloody thing over for errors. 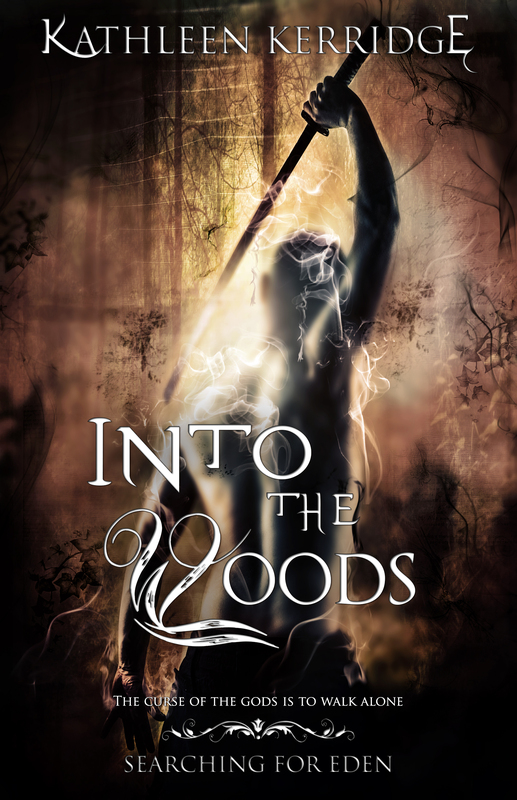 The new Edited edition of Into The Woods is miles away from that first, unlooked at, manuscript that was uploaded to the world in a leap of faith. I will always treasure the first edition, though. I can look at it, see its mistakes and learn from them. It is that manuscript that, in spite of the bed reviews, gave me the courage to keep writing and keep learning. It can be picked up for free here: for the next few weeks. All of you who took the time to read the first ever novel of a brand new author, I thank you. Please accept the Edited Edition with love. If you can take the time to review it, that would be marvellous. As for me, would I go back and edit first, had I known? That’s harder to answer than you might think. Yes, it would have meant that I would have had a polished manuscript, but I wouldn’t have learned half as much as I have. I would still have a thin skin—but for an unedited manuscript, I think the stupidity and bravery paid off. It gave me confidence. It made me friends. And people enjoyed it, despite its failings. That, above all else, has to be the most important thing to remember. Thank you to Jay Aheer for the fantastic new cover!